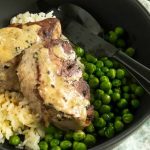 Pork Medallions with Blue Cheese Sauce is cut from a pork tenderloin into steaks-pan seared to tender juicy perfection is then topped with a decadent, but simple blue cheese pan sauce in 30 minutes for easy casual entertaining! 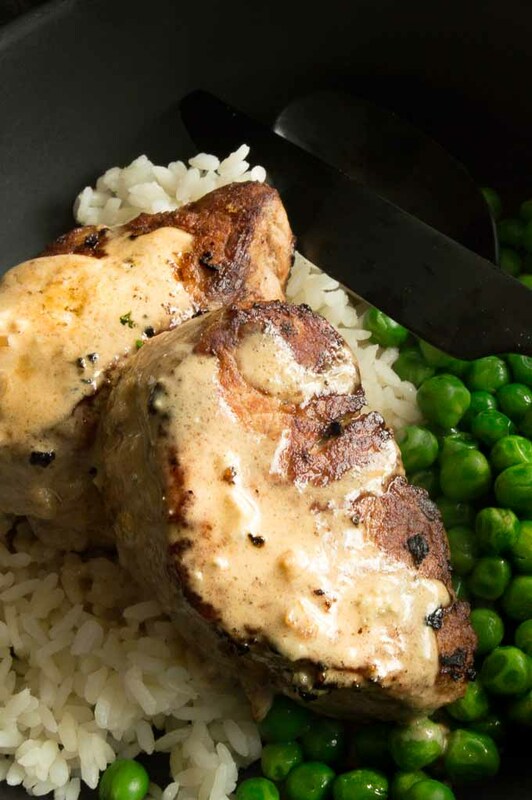 Today’s recipe for Pork Medallions with a blue cheese sauce is so easy and quick you’ll want to make it over and over again. 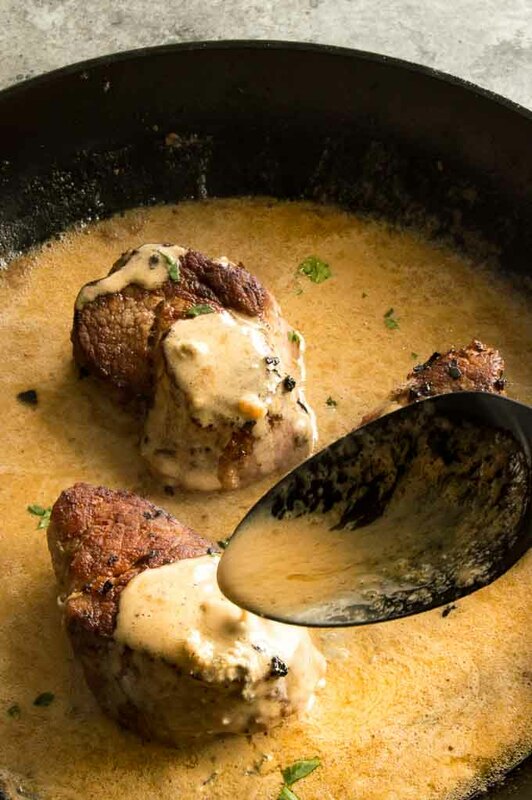 Made in less than 30 minutes it’s a tenderloin cut to small pork steaks, seared and cooked quick to perfection then topped with a rich flavorful blue cheese pan sauce. 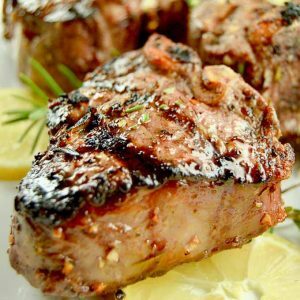 Pork tenderloin recipes are usually shown cooking the whole tenderloin either on a grill or roasted in the oven but this is a pork medallion recipe. What is a medallion of pork? I know, it sounds very gourmet, (and your company will think it is….) But the secret… It’s really nothing fancy. They call it a medallion because its shaped like a medallion you’d wear around your neck(imaging an Olympic Medal.) In food its a small cut of the tenderloin into a 3/4″ – 1″ steak. The tenderloin is a great choice for a gourmet comfort food dinner because it is so tender. Even after pan cooking it, it’s so tender that you can easily cut it with your fork! 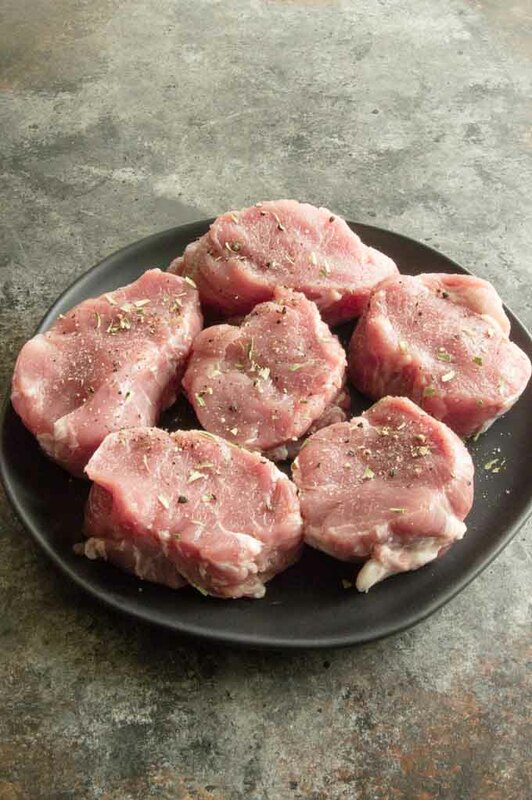 How do you prepare a tenderloin for pork medallions? 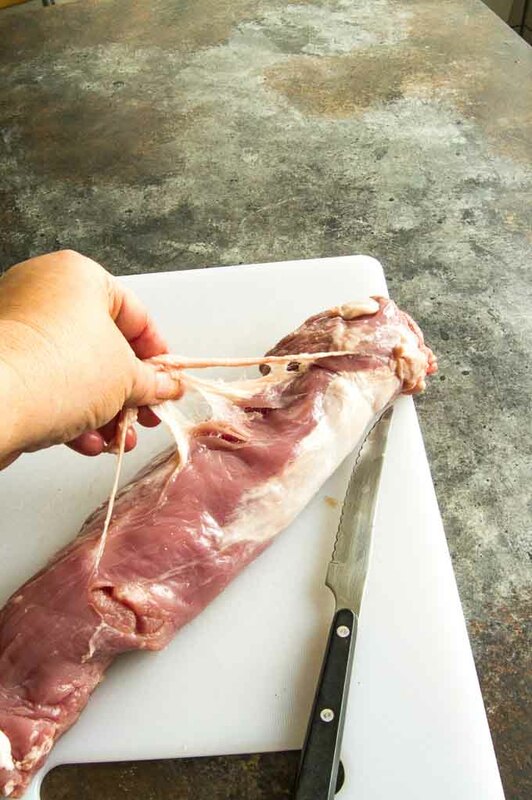 To start with you will want to remove the membrane from the pork tenderloin. It’s as easy as inserting a sharp knife underneath the tough membrane then pulling it back and off. After that you will cut the tenderloin into individual steak medallions. They should be cut to about an inch. You can season them with salt and pepper and your favorite dried spice. I suggest oregano but thyme, basil or tarragon will work. Feel free to use whatever one you have on hand. Once the tenderloin is prepped you can use one pan to cook the pork medallions and the blue cheese sauce. 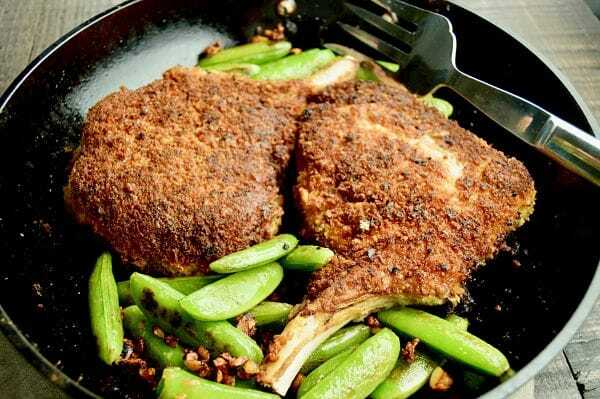 Using a cast iron pan, or heavy skillet that conducts heat evenly is the best choice. Its as simple as searing the pork on each side, allowing them to cook and brown evenly then taking them out to make the sauce. 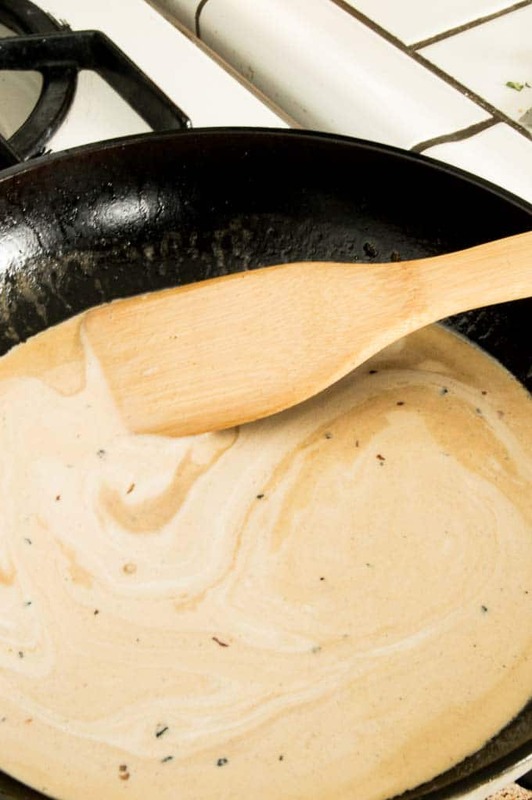 By making the blue cheese sauce in the same pan, you can incorporate all the bits from cooking the pork into the sauce. 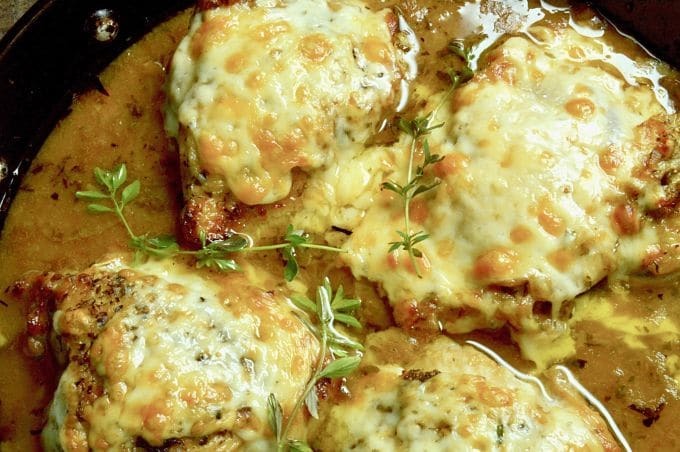 The easiest way to do that is to deglaze the pan with wine before building the sauce. 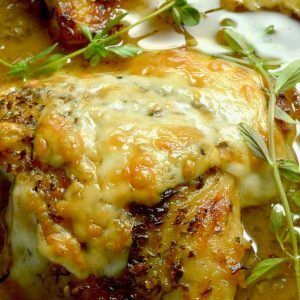 The wine adds a sophistication and depth to the sauce while also cutting some of the richness of the cheese sauce. What’s a substitute for blue cheese? If you don’t like blue cheese you can use gorgonzola, goat or even a brie cheese. Any cheese that is super creamy and soft will work. Cheeses like cheddar will work, but not as well in this because of the way they melt. 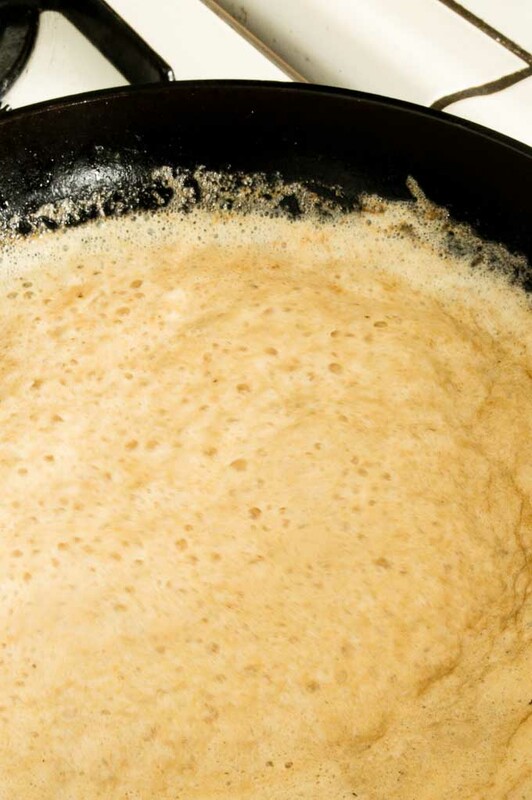 The flavor will still be great, but the texture will be slightly grainy. This blue cheese sauce is very versatile, you could use it as a warm dipping sauce in a fondue pot, or over a grilled steak like this grilled steak with bourbon butter. 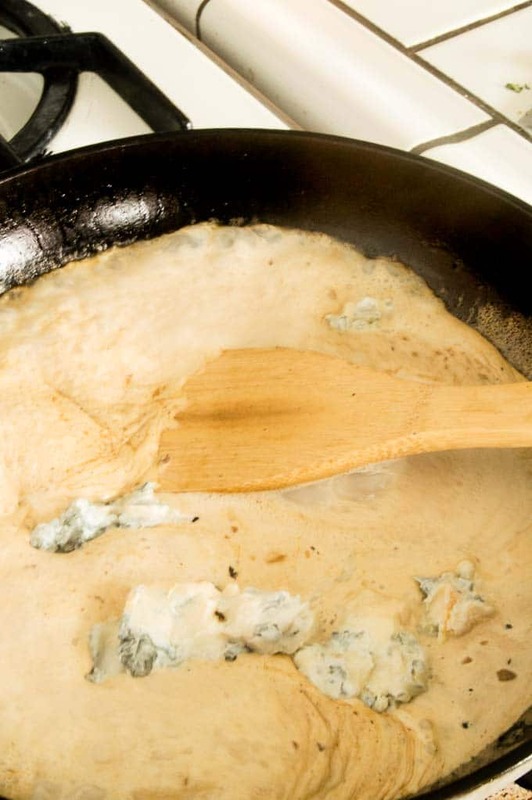 (just leave off the bourbon butter and use the blue cheese sauce instead. 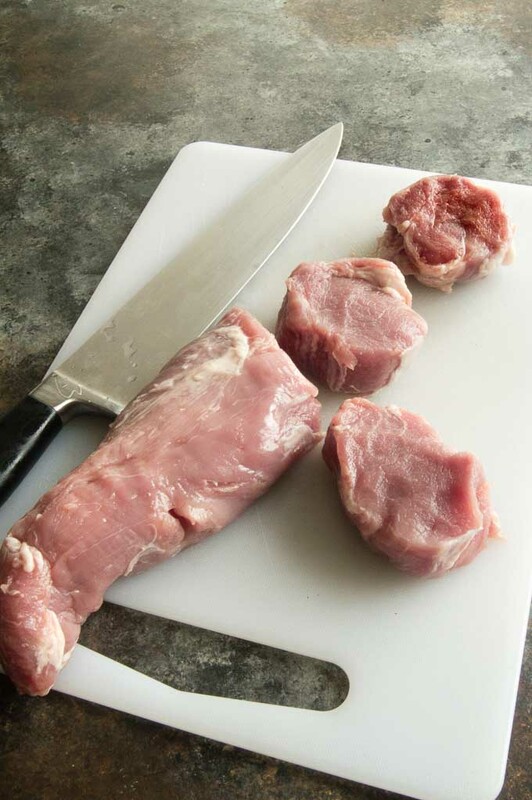 What temperature to cook the pork for safe consumption? Once the sauce is made you’ll place the pork back into the sauce and cook it to a minimum 145° temperature. It will raise a little bit once removed from the pan, but cooking to 145° will still be moist and juicy and not dried out at all when you are eating it! 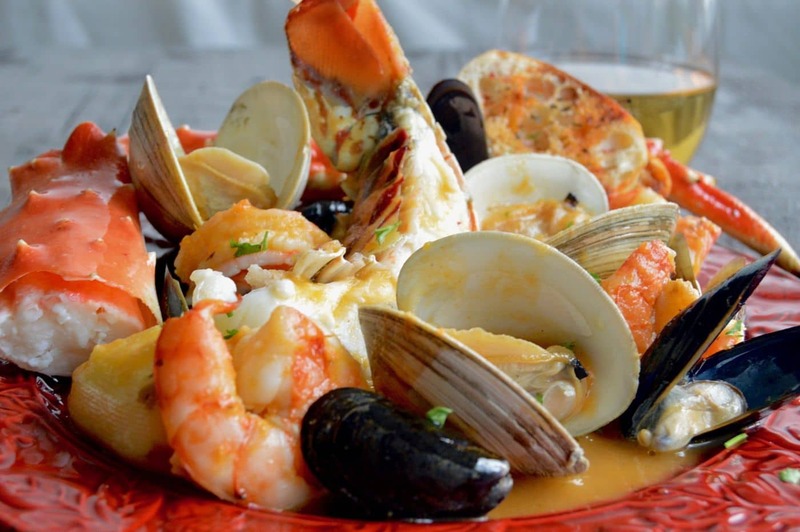 More recipes that are a little bit gourmet (read special) but are easy to make for company! 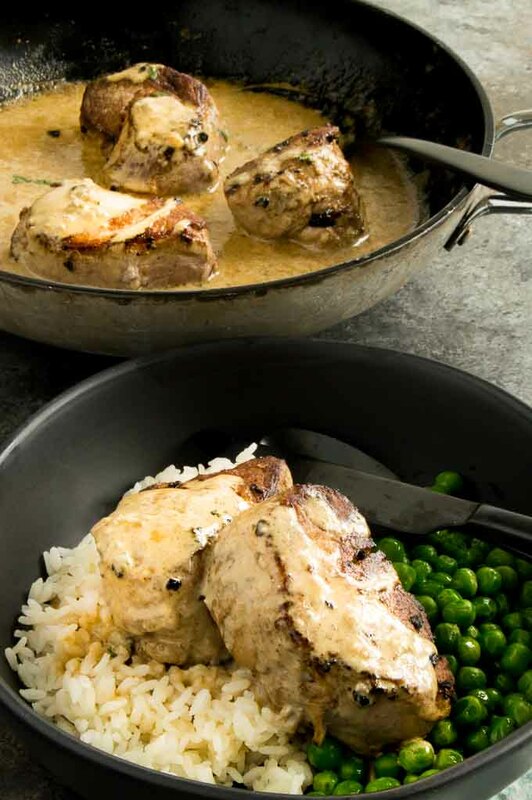 Pork Medallions with Blue Cheese Sauce cut from a pork tenderloin to steaks pan seared to tender juicy perfection is then topped with a decadent, but simple blue cheese pan sauce in 30 minutes for easy casual entertaining! Mince onion and set aside. 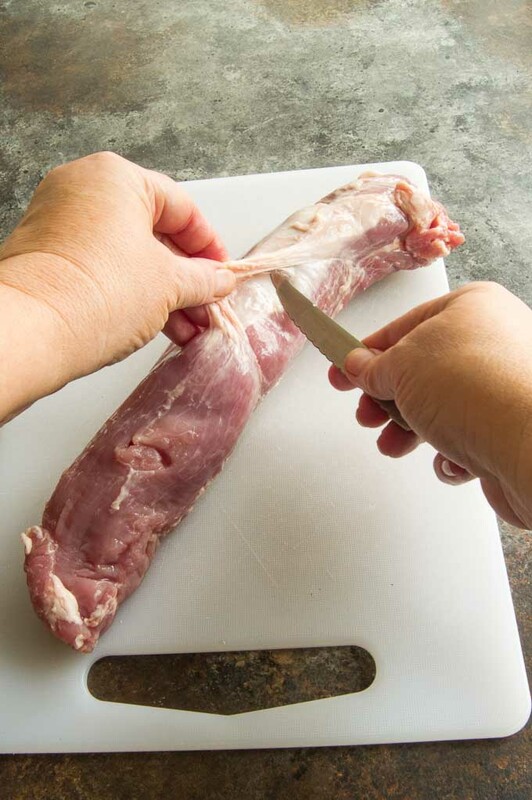 Use a knife, puncture the membrane then gently use a paper towel to remove the sliver skin from each pork tenderloin. Season all sides of each tenderloin with oregano, salt and pepper. Cut the tenderloins to 1" steaks, then press with your hands to flatten. Heat a cast iron skillet to medium high. Add olive oil to pan. Place tenderloins in the pan so that they are at least 2 inches a part, cook 4- 5 minutes per side getting a nice sear mark on each side. 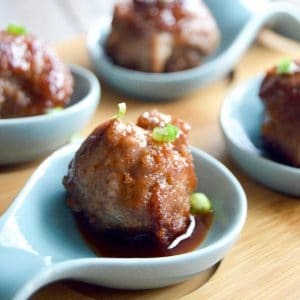 Cook pork in batches instead of overcrowding the pan. Remove pork to side plate. Add butter to skillet and melt. 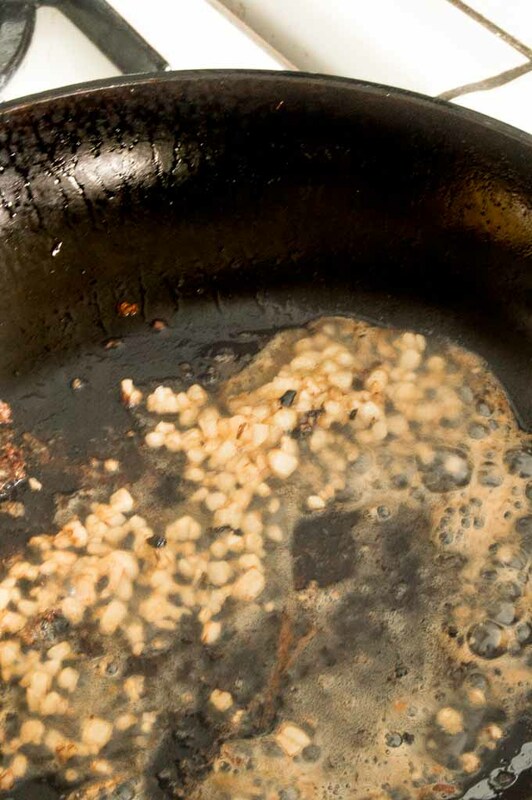 Once melted, add onions and cook until onions are translucent, and starting to turn golden brown, about 5 minutes. Add wine to pan once onions are cooked. 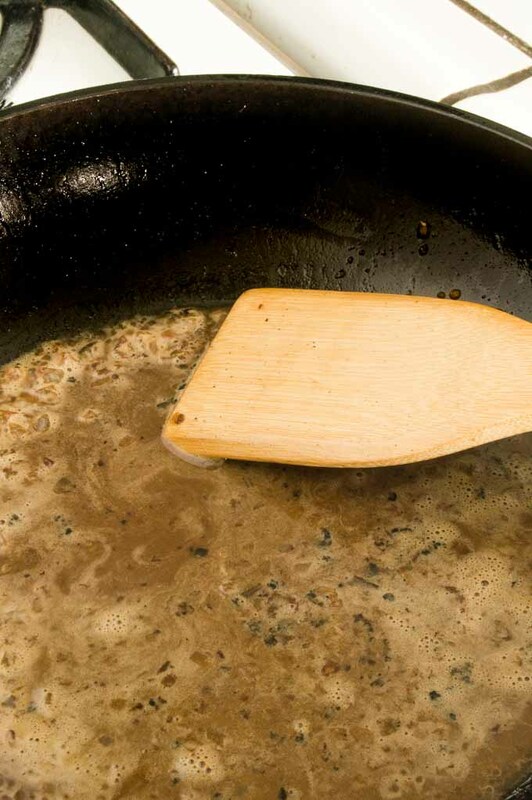 Using a wooden spoon scrape of any brown bits to get extra flavor into the sauce. Stir for 2-3 minutes. Add heavy cream, stir for 3 minutes. Add blue cheese and stir until melted, about 2 minutes. Add pork back into pan and cook until pork is 145-150° and is warmed thru. Serve pork atop pasta, gnocchi or rice and spoon blue cheese sauce over the top. Serve immediately. This looks amazing! Could you please add the nutritional stats for this recipe? Thank you! These pork medallions are amazing! I made them today and they were so delicious! My family enjoyed them and I have plans to make them again next week for company. 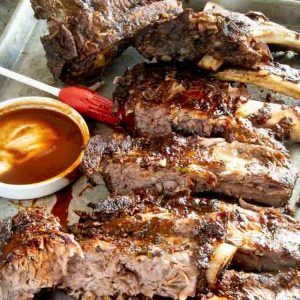 Definitely an easy recipe that will impress your guests. Thanks for sharing. This sounds like such an incredible meal! That blue cheese sauce really takes the meal to the next level! This is amazing. That sauce is to die for! The cheese sauce is a great idea! These Pork Medallions are so delicious and plate beautifully.